After the tragic death of her husband and son on a remote island in Washington's San Juan Islands, Eliza Waite joins the throng of miners, fortune hunters, business owners, con men, and prostitutes traveling north to the Klondike in the spring of 1898. When Eliza arrives in Skagway, Alaska, she has less than fifty dollars to her name and not a friend in the world--but with some savvy, and with the help of some unsavory characters, Eliza opens a successful bakery on Skagway's main street and befriends a madam at a neighboring bordello. Occupying this space--a place somewhere between traditional and nontraditional feminine roles--Eliza awakens emotionally and sexually. But when an unprincipled man from her past turns up in Skagway, Eliza is fearful that she will be unable to conceal her identity and move forward with her new life. 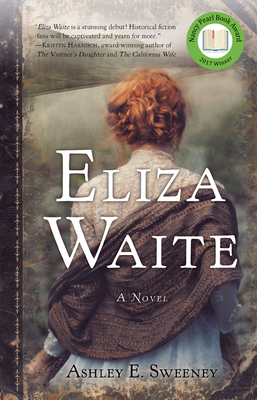 Using Gold Rush history, diary entries, and authentic pioneer recipes, Eliza Waite transports readers to the sights sounds, smells, and tastes of a raucous and fleeting era of American history.